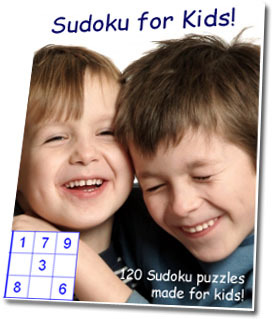 We searched high and low for a good source of sudoku for kids, and instead, we found a GREAT source! 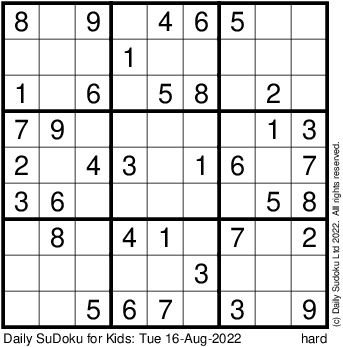 The Daily SuDoku for Kids provides a free puzzle every day for the younger SuDoku-er. These puzzles are mainly 6×6 SuDokus, with some 4×4 for the really young babes and some easier 9×9 puzzles thrown in for confidence builder. Brought to you by The Daily SuDoku. Techozoic 2.1.1 by Jeremy Clark. | 45 mySQL queries in 0.557 seconds.